Anatech's wide range of Canadian manufactured off-the-shelf supports and unique custom bracing offers a multitude of solutions for your injury and help to maintain an active lifestyle. Our products with a variety of complimentary lines are all designed to prevent or treat a variety of ailments from sprains, strains and tendonitis to hernias, fractures, and dislocations. With our dedicated sales force in place who cater specifically to sports stores, Anatech is your #1 resource for a wide variety of sports medicine products. 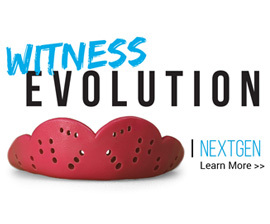 From our Anatech branded bracing line to products such as the SISU Mouth Guards, Oofos recovery sandals, Liquid Grip, Intelligel and Active Ankle, Anatech is the perfect fit for this diverse and competitive market. Offering a variety of rehab products including Darco, a premium brand of post op, trauma & wound care solutions. As Canada's exclusive distributor, the OOFOS recovery sandals is a perfect solution for plantar fasciitis. LIMBO cast protectors offer superior quality & a fit like no other. Add the REP Band® Products as an integral part in your program to strengthen muscles & increase endurance. "I got my shoes ordered yesterday! Thank you so much to everyone........I experienced the BEST customer service I have ever had! I will definitely recommend your company to all my friends."